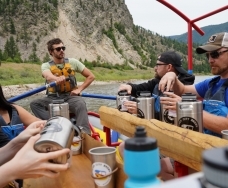 Kayaking or canoeing, Missoula is a paradise for the river-sports enthusiast. 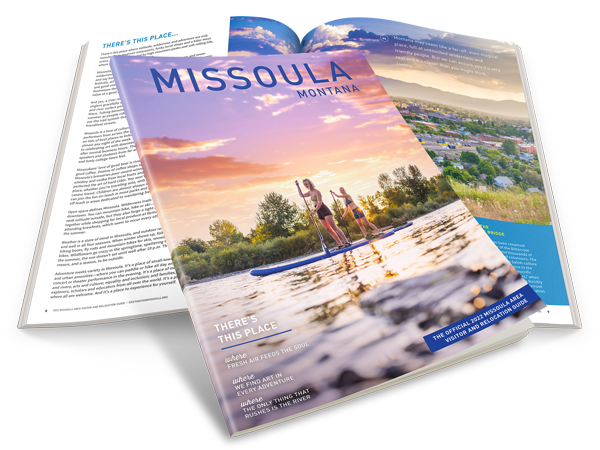 In fact, Missoula and kayaking go so well together, we built waves to practice on in the heart of downtown. On the Clark Fork river just outside the Caras Park Pavilion is Brennan's Wave, constructed in memory of a Missoula kayaker. There are plans to complete a second wave just a few yards from Brennan's to up the action. On almost any evening a passer-by can watch kayakers, surfers and paddle-boarders attempting the wave and even performing tricks. 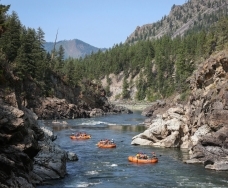 Missoula has hosted the U.S. Freestyle Kayaking Championships and multiple other kayaking competitions are held here each year. Just 5 miles west of Missoula on Interstate 90, exit 89. Frenchtown Pond State Park is a small, spring-fed lake that has a maximum depth of 18 feet, making this an ideal practice spot for beginning canoers and kayakers. Located in the heart of Downtown Missoula at Caras Park under the Higgin's Street Bridge. A man-made whitewater play pool in the Clark Fork River named after a world-class kayaker from Missoula who died while paddling in Chile in 2001, Brennan's Wave brings great surfing into the city limits. Just 35 miles west of Missoula on Interstate 90. 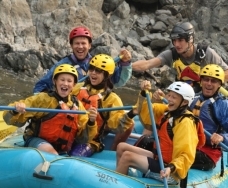 This 12 mile stretch of steep-wailed canyon is an idea family float and provides tons of opportunities for play. Keep your eyes open for wildlife; eagles, osprey, moose, deer, bear and mountain lions are commonly spotted along the river banks. The main put-in is at Cyr Bridge, at the Cyr exit, but most kayakers continue past Cyr to Triple Bridges and take-out at either the Tarkio access or Ralph's, about five miles beyond Triple Bridges. 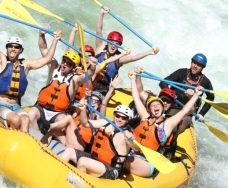 Filled with rapids named the likes of Boat Eater, Fang and Tumbleweed this is one adventure you don't want to miss! On the Blackfoot river just 11 miles east of Bonner on Highway 200. Turn North onto Johnsrud Park Road and continue up the dirt road for 6 miles to parking at Whitaker Bridge. There is a boat ramp located on the opposite side of the river over the one lane bridge. 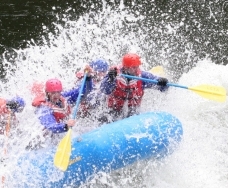 One mile into the float you will hit Thibbodeau Falls, the Blackfoot's best known rapids. 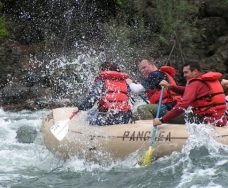 Continue on through a few more splashy rapids and take out at the Johnsrud Fishing Access site. Before heading out for the day it is always advised to call a local shop for great advice, current river conditions and the best insider information from people who are on the river all day, every day.